(Riverton, Wyo.) – There is a new addition to the Riverton bus fleet, cameras. The extra eyes on the road is the result of legislative action that was spurred after a tragedy that changed Wyoming forever. An 11-year-old Crowheart girl, killed after walking off the school bus. The driver ,ignoring all the signs, the stop arm extended the flashing lights. It’s a crime that happens in Wyoming all to often, drivers zooming past school buses when they shouldn’t. “We probably have stop sign violations once a day or once every two days.” says Fremont County School District Transportation 25 Director Berry Capellen. The death of the young student encouraged immediate action in the Wyoming legislature, requiring cameras on all public school buses. Now all 31 buses in FCSD 25′s fleet are equipped with 5 cameras. 2 on the outside and 3 inside that also record sound. “We as drivers do have a lot of distractions, and we want to make sure that our kids are safe and get to school safe.” Says long time bus driver James Sandfer. While the wheels on the bus go round and round, the electric eyes never blink. The camera’s catch everything. 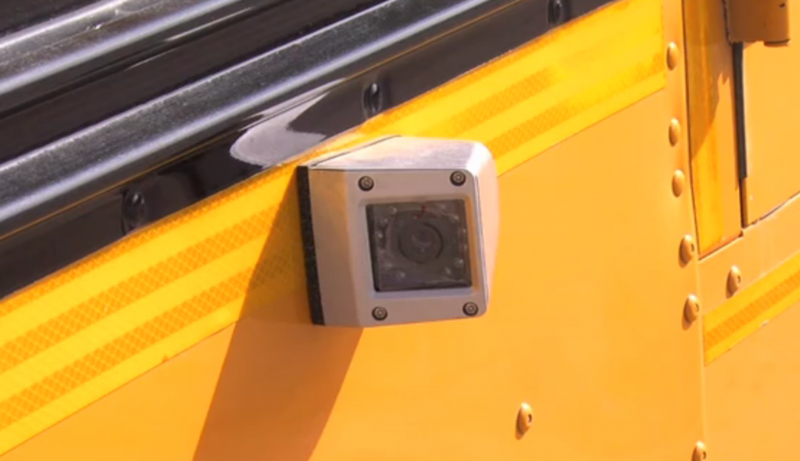 “It will help our driver monitor the students,” says superintendent Terry Snyder. “It will help them monitor the traffic, and it even helps us monitor the drivers themselves. School officials can easily share the footage with law enforcement, parents, and principals to make sure action is taken. It is the hope that these cameras will help avoid a repeat of past tragedies….And shed light on incidents that have yet to come. “These cameras aren’t here to punish you,” says driver Sandfer. “They’re there to make sure are kids are safe. School districts around the state need to have the cameras installed in their buses by July 1st 2017.